A member of the firm since 1986, Daniel Whalen specializes in representing victims of wildfires, defective products and bad faith conduct by insurance companies. 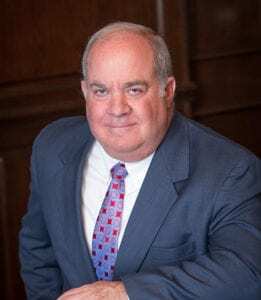 An experienced trial lawyer, Mr. Whalen is admitted to practice before the California State and Federal Courts, as well as the U.S. Ninth Circuit Court of Appeals. His significant published opinions include McDonald v. Southern Pacific Transportation Company regarding juror misconduct and Fogel v. Farmers Group, Inc., a Class Action involving inappropriate conduct by an insurer’s attorneys-in-fact, affecting millions of policyholders across the nation. In 2011, the Fogel case was described by The Reporter as the top settlement for that year. In 2014, Mr. Whalen and the firm recovered damages suffered by more than 200 victims from Southern California Edison in the largest loss of homes due to fire in Los Angeles history. He has, and continues to, successfully represent consumers in residential and business fire losses, insurance policyholders faced with bad faith conduct, and families who have suffered significant injuries or death due to defective vehicles and products. He has been selected as a Southern California Super Lawyer in 2005, 2013 and 2014, with particular recognition in Los Angeles Magazine, The Recorder, Law Dragons, and the National Law Journal.